Well before this blog came into beng, I would frequent the cheese counter of a food hall within a hotel in Doha called La Cigale. I would spend Friday afternoons, and a good chunk of my earnings from several jobs, there. But as happens, familiarity bred contempt. I went there too often. I started to notice they weren’t taking care of the cheese. The staff weren’t as helpful. And we fell out of love. Actually, if I am pressed, I do say the main reason I stopped going was that the valet parking there is rubbish (white girl problems anyone?). But, in a fit of nostalgia (homesickness and missing people), I went back there today. I must have been keen, because I braved a vicious sand storm, of the kind only Doha can whip up. And absence does make the heart grow fonder because I found two gems. 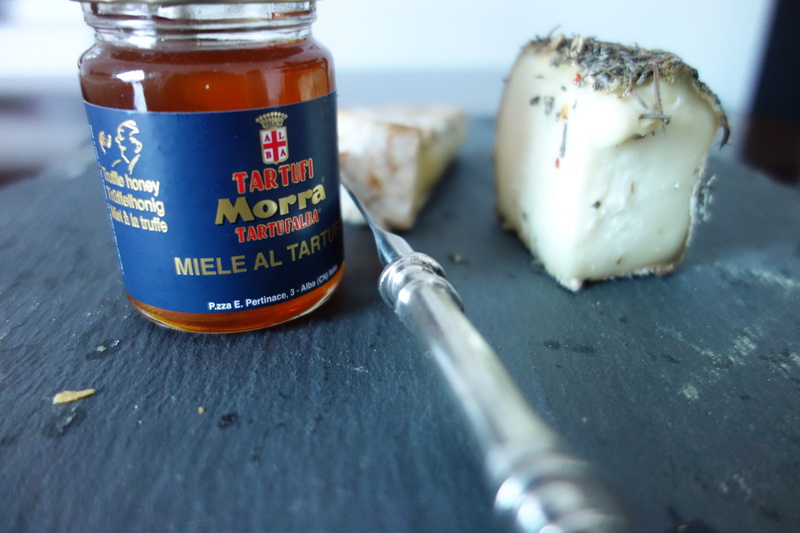 The first was one of the cheeses that introduced me to the wonders of sheep milk. 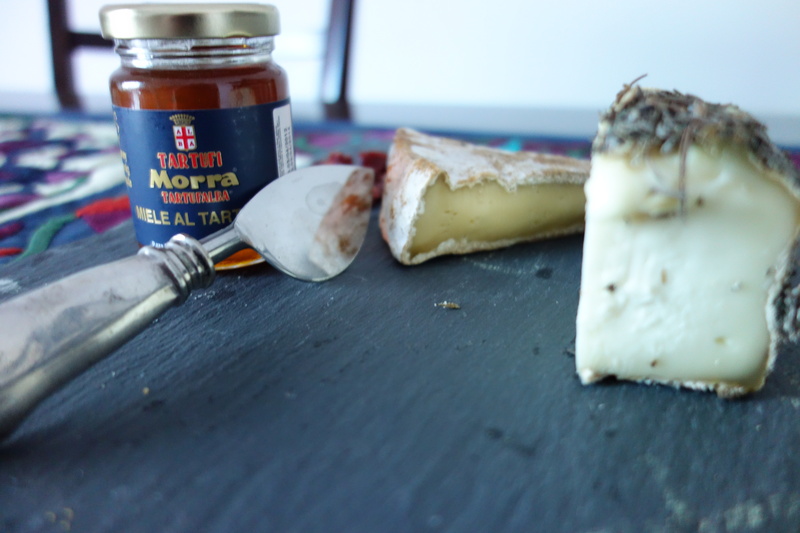 Made in Corsica from the milk of Lacaune ewes, Brin D’Amour is made by small-scale producers and shepherds on the island. The name itself is kind of sweet, it means “Breath of Love” and refers to the aromatic coating of rosemary, fennel seeds, juniper berries, and the occasional bird’s eye chile applied during production to enhance the natural flavors present in the milk. At first glance, I thought it was straw (I am a peasant sometimes). 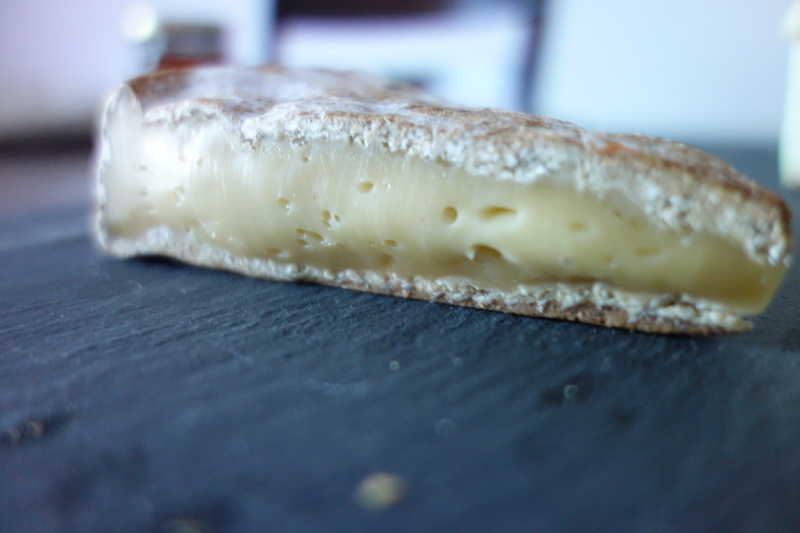 When young, Brin d’Amour is firm and moist with citrus flavors and a slightly sour tang. 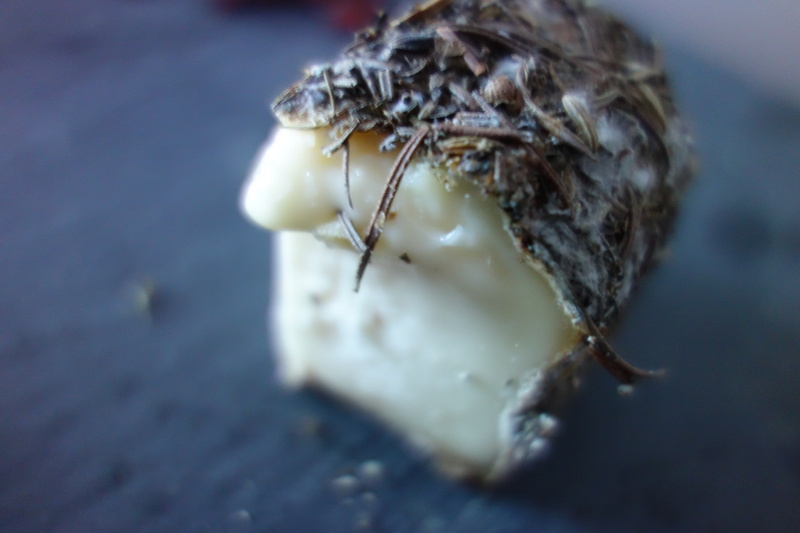 With age, the rind becomes dotted with a blue-grey mold. 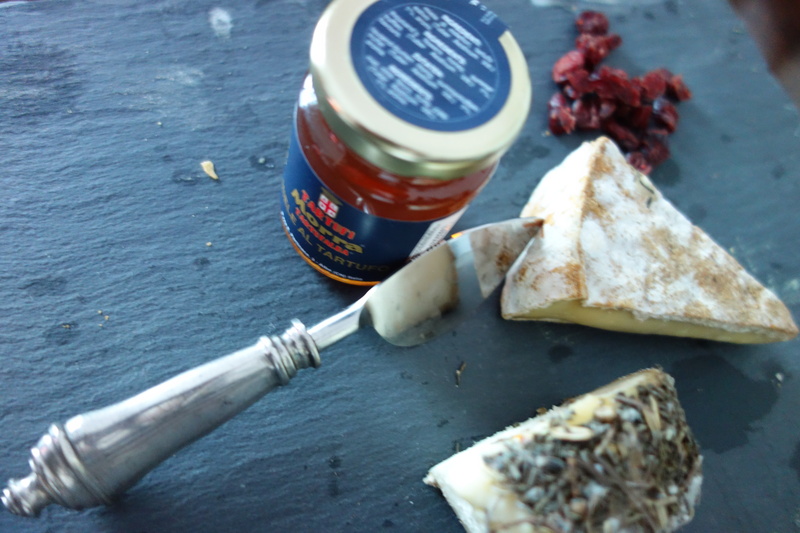 Meanwhile, the other discovery was Calvados Camembert – what could be better than combining booze and cheese in one package? I was a little surprised to find this in Doha, maybe they didn’t know that Calvados was a potent liquor (a French friend would plus dinner party guests with it after meals – lethal!). Camembert Calvados is made by a superior Camembert de Normandie AOC having its rind gently scraped off and then it is dipped in Calvados (Apple Brandy) and a layer of breadcrumbs then seals the flavour in. The Calvados may have been lost a little in transit but there was a hint of it. A fabulous cheese. Hi Rachel! 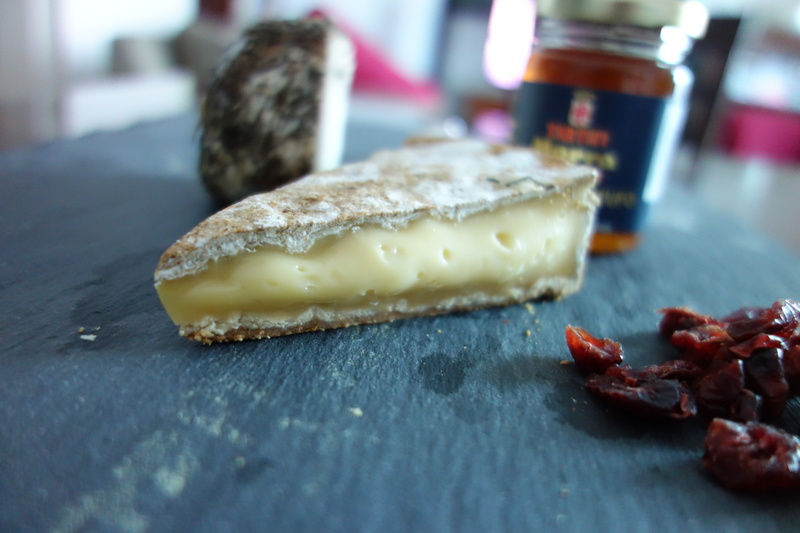 Both cheeses look amazing, but wow a Camembert dipped in Calvados must be amazing. I have great memories of drinking Calvados 🙂 By the way I want to say that I love the look of the your blog!